Yippeeee! Mega slides, swings, a climbing net, mini-cars, miniature golf and even a real toddler town with a HOPLA corner! The outdoor playground in Bokrijk is not only enormous, it’s great fun. There is a zone for every age, and it is fully fenced. For children with disabilities, there are special playthings. And the best thing? The playground is open all year round and it’s free! 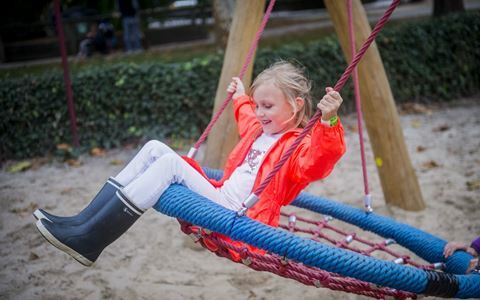 The playground is open from 9:00 to 21:00 between April and September, and from 9:00 to 19:00 in October and March. The playground is fully fenced, and entrance is free all year round.